ProCom blue flame icehouse heater liquid propane manual thermostat control with hose and regulator. 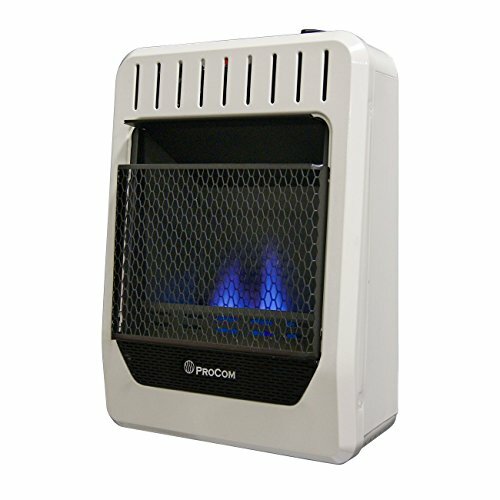 Make a chilly room or small lodging more comfortable with the Procom blue flame icehouse heater. This compact unit is made from durable steel and uses standard liquid propane tanks for fuel. Customize the heat output with the manual settings and churn out 10,000 BTU's to warm up to 300 square feet. A built-in oxygen depletion sensor shuts the unit down automatically. 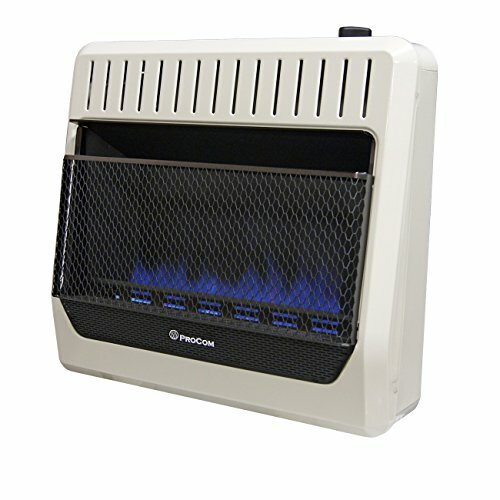 This durable ProCom blue flame vent less wall heater warms your home the same way a central heater does. Don’t be cold the easy-to-mount dyna-glow manual vent less wall heater is an excellent choice for bringing cozy warmth to your home, workshop, or office space. Patented dual fuel technology allows you to choose between natural gas or liquid propane fuel. 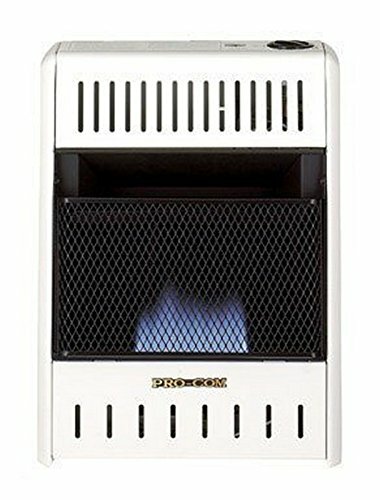 ProCom dual fuel vent free blue flame heater model# mg10hbf is built for durability and efficiency to keep your home toasty warm for many cold seasons to come. 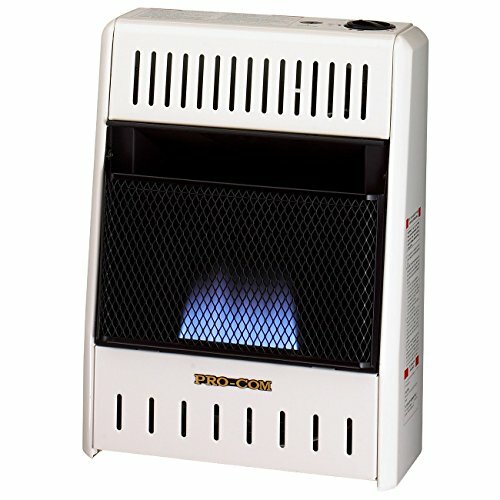 This compact but solid heater gives you a reliable source of heat. It runs at 10,000 maximum btu which heats up to 500 square feet of living space. No electricity is required which is perfect for power outages or any in-house urgencies. This dual fuel technology has one unit that operates on either natural gas or propane gas. 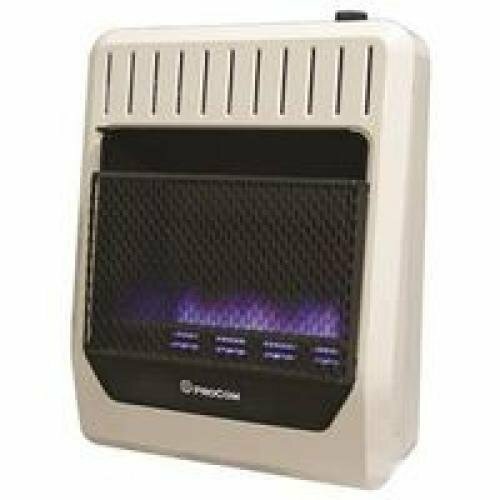 Procom's blue flame vent less gas space heaters model ml060hba make supplemental heating fast and easy just push a button for easy ignition, stand back and enjoy a great source of dependable, affordable heat. 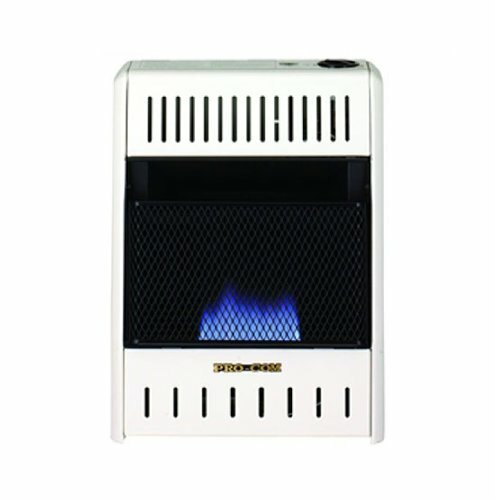 The 6, 000 maximum btu heats up to 150 sq. Ft. Safety assurance: O.D.S. (Oxygen depletion sensor) included with automatic shut-off wall mounting bracket included. 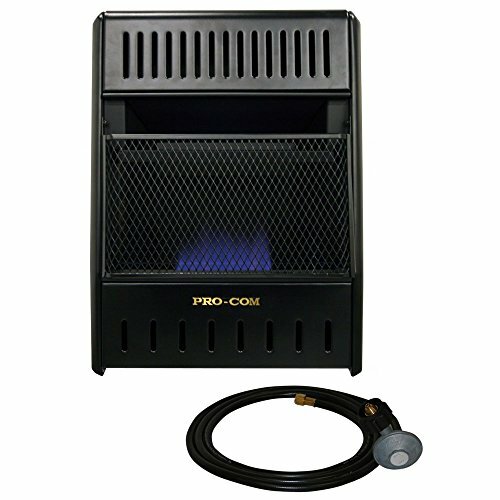 The ProCom Heating Blue Flame MA Series Ventless Liquid Propane Gas Heater delivers 20,000 BTUs of heat and offers an easy way to add extra heat to your home. The heater warms up to 950 sq. ft. using an easy push-button start with no electricity required, making it a great choice during power outages. The manual heat settings allows you to maintain and control the desired heat output, while the oxygen depletion sensor features an automatic shut-off design to keep your home safe. 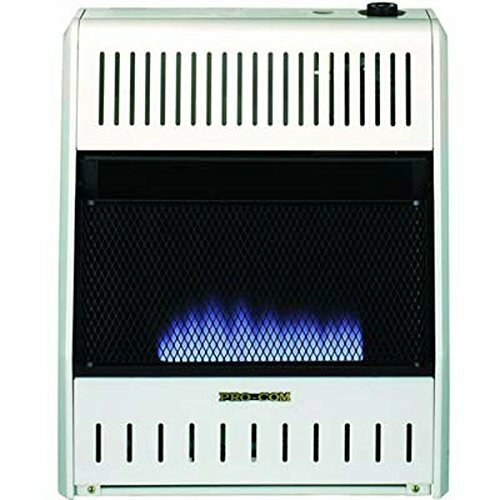 ProCom dual fuel vent free blue flame heater model# mg20tbf is built for durability and efficiency to keep your home toasty warm for many cold seasons to come. 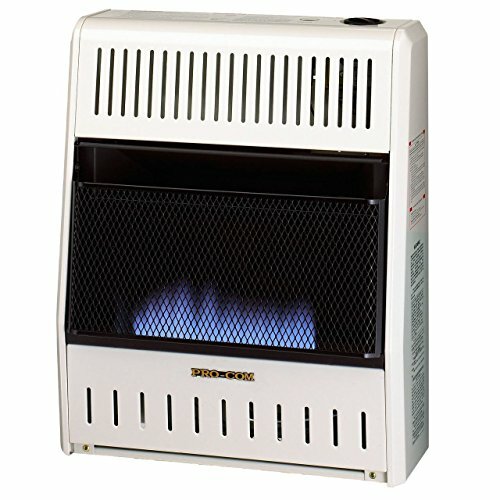 This compact but solid heater gives you a reliable source of heat. It runs at 20,000 maximum btu which heats up to 950 square feet of living space. Without compromising function for beauty, this versatile gas space heater has been redesigned for a slimmer and modernized profile to effortlessly fit into your home. Looking for more Procom Blue Flame similar ideas? Try to explore these searches: Real Iced Out Jewelry, Prayer Stained Glass, and Baby Stingray.